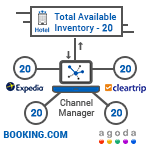 Effortlessly handling all your booking sources, Connect-Inn is a hotel channel manager that automates the process of online rates and inventory distribution and minimizing the hassles associated with overbooking and mismatched inventory. Connect-Inn hotel channel manager is the answer to all your online inventory distribution in a hotel. Automate online rates and inventory distribution with real-time updates on 100+ connected channels. No matter if it is 2, 10 or 100; easily manage multiple connected channels through channel manager software. Innsoft’s channel manager software updates all your data in real-time, thereby enabling you to benefit from utilizing your complete inventory online, without the fear of over-bookings. As per various conditions set by you, Connect-Inn allows you to easily derive the best room selling rate for maximum profit. At the press of a button, instantly stop the sale of your live inventory on all connected channels. You never get locked into a contract with Connect-Inn channel manager. Just pay a low-cost monthly fee with no commission. 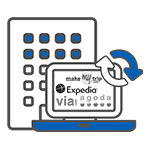 Using the latest technology of Innsoft channel management software, we assure you that the issue of overbooking at your hotel would be a rare phenomenon. Keeping the rate parity clauses in mind, our channel management software ensures that all changes are updated in real-time. In this tech-savvy world, where reputation and revenue go hand in hand, how important is it to manage all your reviews? Hence we’re presenting a one stop solution to manage and expand your online presence across the web. Our hotel channel manager acts as a bridge between your hotel and numerous travel booking platforms increasing your online reach for higher booking contingency. Innsoft’s OTA synchronizer offers integrations with over a hundred online travel booking sites including OTA, GDS, Vacation Rentals and more. Connect-Inn hotel channel manager will efficiently synchronize the availability on leading vacation rental websites and allow you to receive bookings from this rising market. 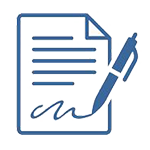 Rates and inventory will update automatically, while reservations flow seamlessly into your Check-Inn PMS. Exponentiate your online revenue share: Risk-free!